Richly textured, extravagantly colorful, and stuffed with larger-than-life characters, the historical past of opera can be as mesmerizing and commanding as opera itself. And no talent benefits more from being seen from inside out–through eye-witness accounts of singers, composers, librettists, critics, historians, patrons, satirists, impresarios, designers, performers, and others–than opera. Now, in Opera: A History in Documents, Piero Weiss presents a sweeping, vivid, and punctiliously researched tour of operatic history. The chronologically organized primary sources include 115 passages–private letters, servings of libretti, literary criticism, satire, and poetry–from opera’s late Renaissance infancy through present times. 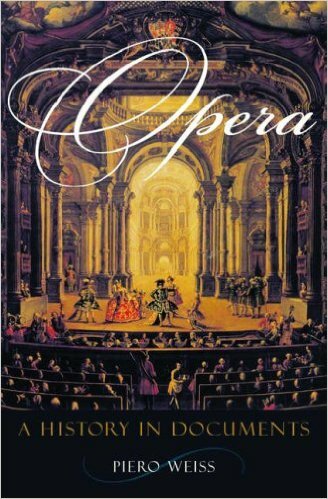 This first-hand testimony allows readers to experience the historical past of opera as eyewitnesses, offering an immediacy and validity unmatched by standard histories. Opera lovers will likely be transported to your Medici wedding in sixteenth century Florence, to your Haymarket Theatre for any performance of Handel’s Rinaldo, to Mozart at the office on Die Entfuhrung aus dem Serail, and Bertolt Brecht’s writing desk, among a number of other landmarks in opera’s history. Weiss expertly guides readers, providing highly accessible introductions to every section that both contextualize the excerpts and position them in the broader historical narrative. In addition, Weiss offers original translations of over half of the fabric in the book, some of them appearing in English the very first time. Stage settings, costumes, portraits, contemporary playbills, along with other illustrations enliven the link and assist to recreate the design of the era under discussion. Perfect for opera aficionados, Opera: A History in Documents comes with a uniquely exciting entrée into your origins and growth and development of one of our most enduring art forms. This entry was posted in Biographies & Memoirs and tagged Opera: A History in Documents.